From peasants’ asking us for a ‘spare fag’ to people constantly telling us we’re going to die it’s no wonder at the end of a stressful day we place a death stick between our lips. There are a number of things you should never say to a smoker because it’s just none of your business. Here are just a few things we hear over and OVER again. ‘You would save so much money if you quit’ – thanks for telling us something we didn’t realise every time we spent £8+ on 20 fags. You’ve really opened my eyes. ‘It’s killing you’ – yes, I know, the packet did tell me that. ‘Do you have a spare fag?’ – these are the kind of people that grab girls’ butts in the club and smirk to their mates. ‘Do you have a fag I can burrow?’ – this culprit is even worse than the previous one. What do you mean burrow? How you going to give it back to me? Blow the smoke back into my lungs? ‘Can I keep your lighter?’ – yeah sure because I love it when I can’t light a fag after I’ve given it to a stranger. ‘It must ruin your nails and teeth’ – there’s always acrylic nails and teeth whitening. I’ve got that covered don’t worry. ‘You stink of smoke’ –give me a chance to coat myself in Yves Saint Laurent before you come for me okay. 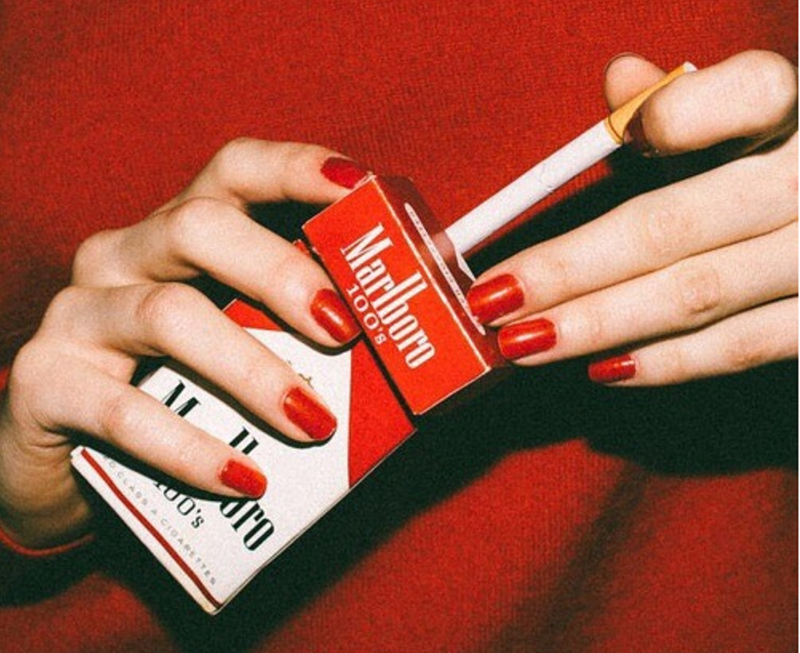 ‘You’re such a lovely girl why do you do it?’ – I didn’t realise smoking changed my personality, sorry. At the end of the day smoking is awful, disgusting in fact, but it is an addiction. It’s down to the smoker to take control of their life and quit – not you. If they don’t want to quit then leave them be, they will realise how terrible it is one day. If your loved one smokes sit them down and have a proper chat with them – don’t keep pestering them and nagging. This article is in no way, shape or form, condemning smoking. If you have never tried it we recommend you don’t as it is a deadly addiction.